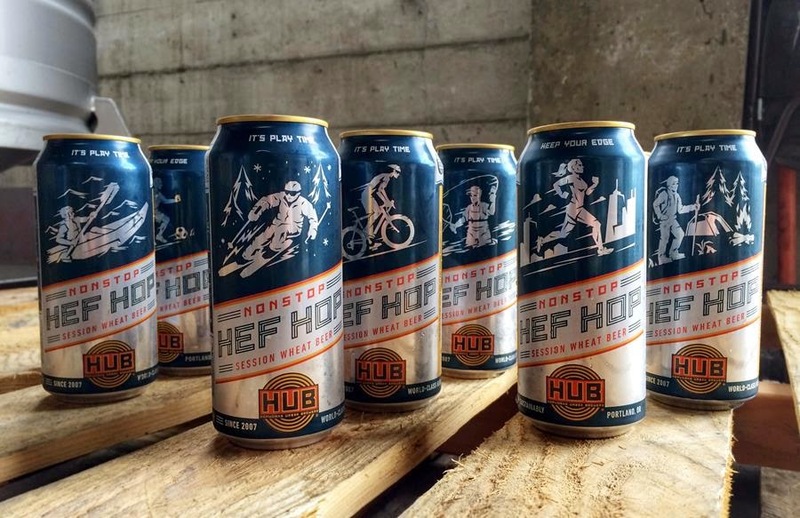 Portland Craft Beer: Three Beer releases from Hopworks. Three Beer releases from Hopworks. Today we release our newest beer - Nonstop Hef Hop. This low-alcohol, dry-hopped American-Style Wheat beer was created for drinkers who maintain active lifestyles. The beer clocks in at just 3.9% ABV and has the feel of a NW Pale Ale in body and flavor, but without the extra weight, calories, and alcohol. Nonstop Hef Hop is brewed with a variety of organic NW hops, organic malted barley, and red spring wheat grown on the Hopworks estate farm on San Juan Island. Potato Gun IPA Release Party Tonight and Tomorrow!!! Potato Gun IPA (Idaho Potato Ale) is our collaborative beer with Payette Brewing, in Boise. It was brewed with over 50 lbs of organic Idaho Purple Potatoes. The beer will be released at Hopworks on Powell tonight, February 18, at 6pm. Meet the Payette team and try some Purple Potato Fry specials! Hopworks Urban Brewery is located at 2944 SE Powell Blvd. Portland. We're also sending the beer to The Civic Taproom tomorrow, Feb. 19, from 6-9pm, for a fun night of Payette/Hopworks beers, a potato gun shooting range, swag giveaways, and free purple potato fry samples from Boise Fry Company. The Civic Taproom is located at 621 SW 19th Ave., Portland. Today we also release our classic seasonal, Rise Up Red IRA. Rise Up Red IRA is one of the first beers brewed at Hopworks, it won a gold medal at the 2009 Great American Beer Festival and has remained a cult classic for years in the Pacific Northwest. The seasonal offering is an India Red Ale, mahogany in color, smooth, made with certified organic barley, and packed to the rafters with organic kettle hops. The beer is then dry-hopped with Salmon-Safe Certified hops at to punch up the aroma. 2015 Cascade Tart Fruit Fest Lineup Announced.